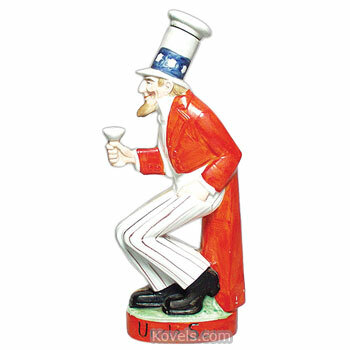 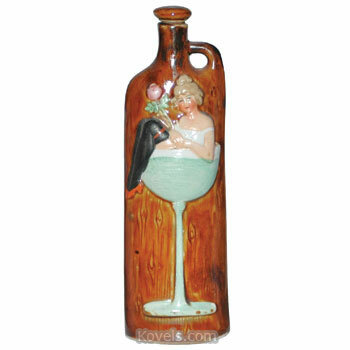 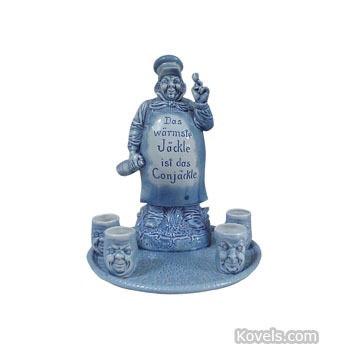 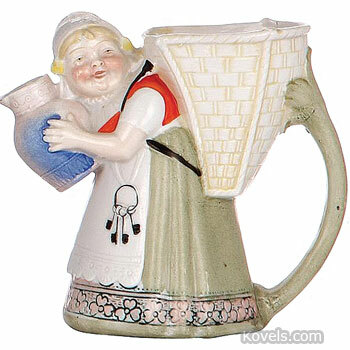 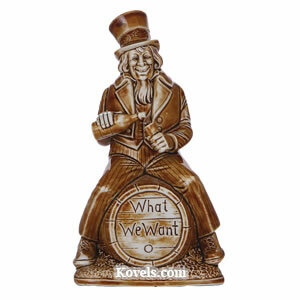 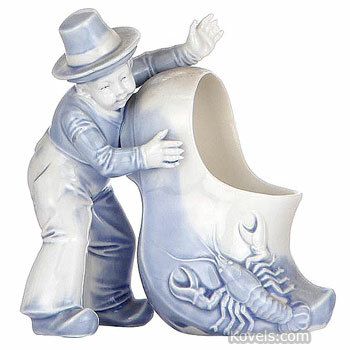 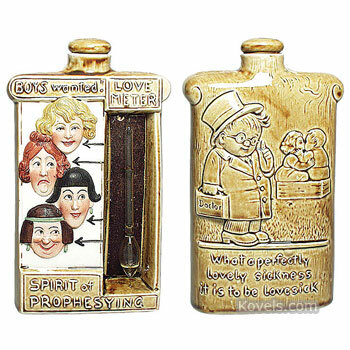 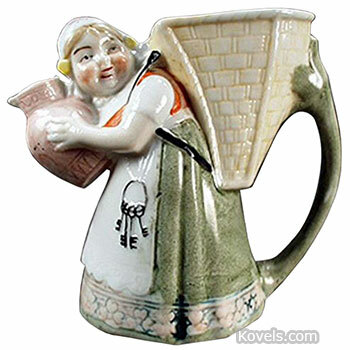 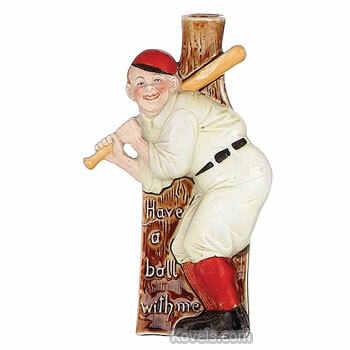 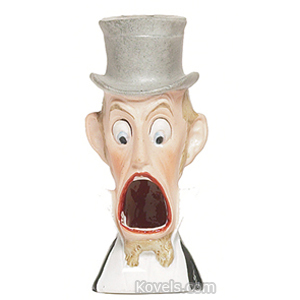 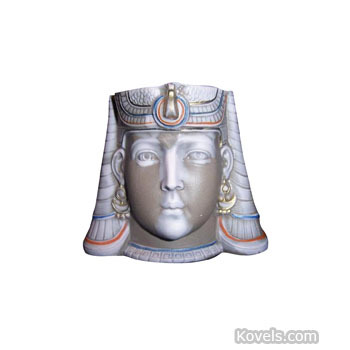 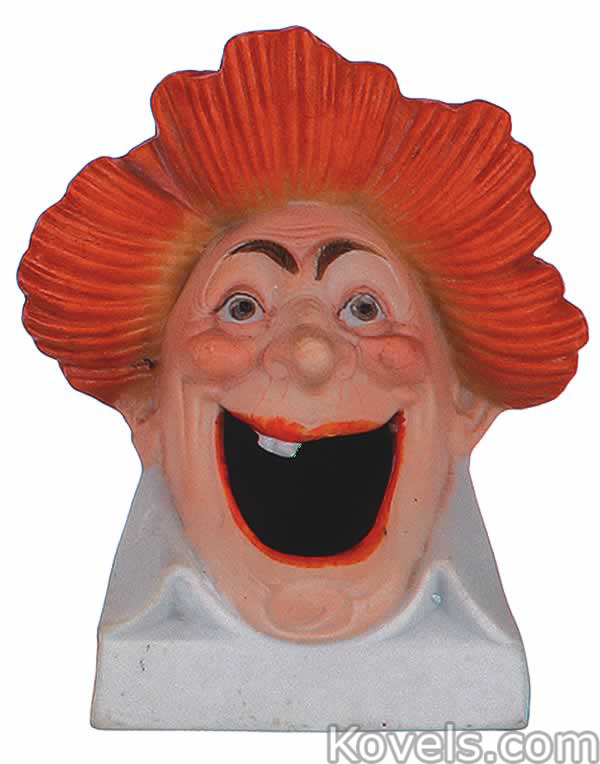 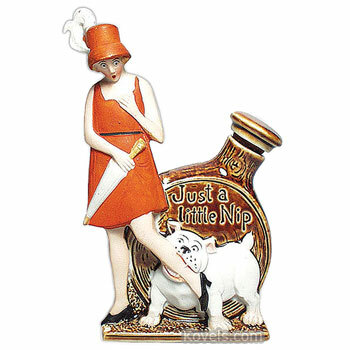 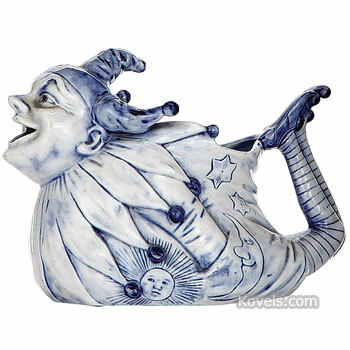 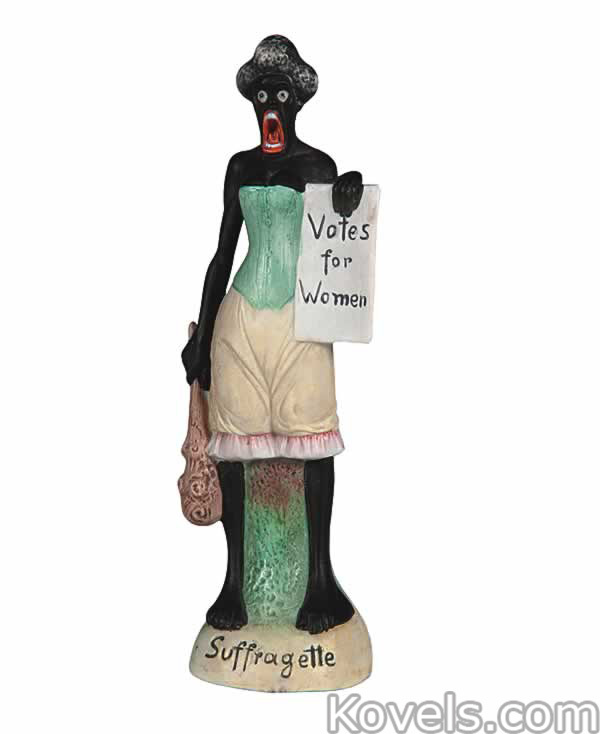 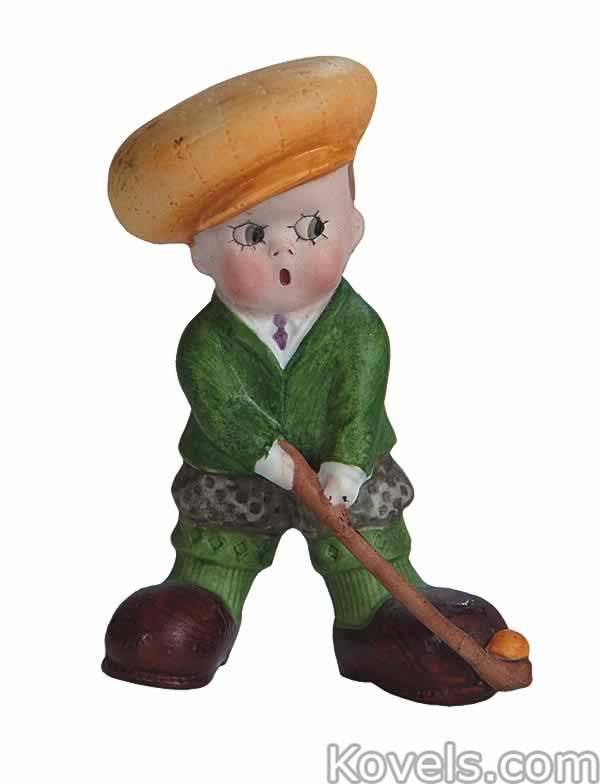 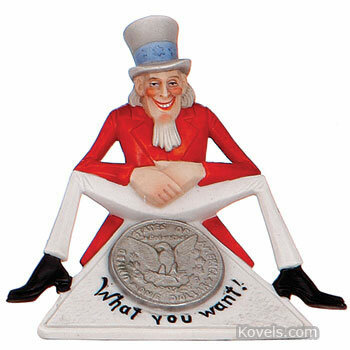 Schafer & Vater, makers of small ceramic items, are best known for their amusing figurals. 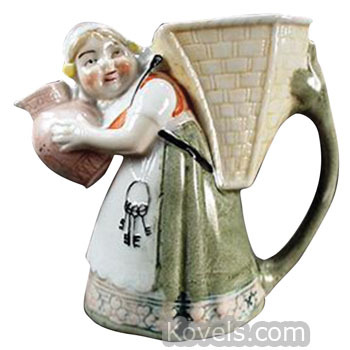 The factory was located in Volkstedt-Rudolstadt, Germany, from 1890 to 1962. 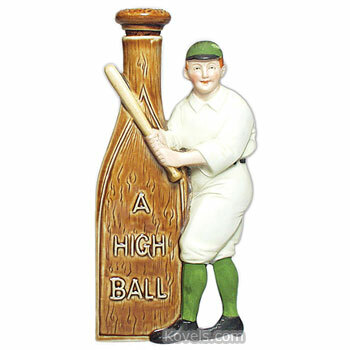 Some pieces are marked with the crown and R mark, but many are unmarked. 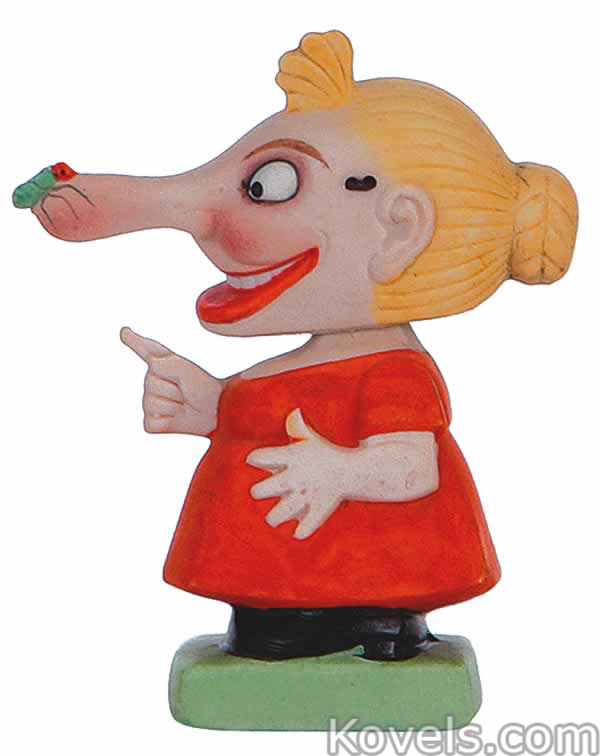 Schafer & Vater made many comic figurines and give-aways. 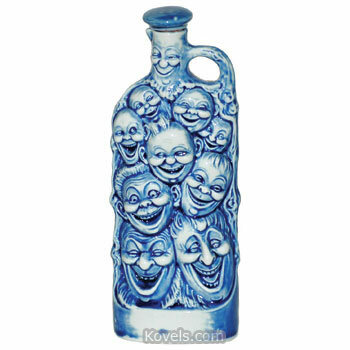 Some were glazed with an overall blue glaze, some were multicolored.